Content is (still) king. Yes, valuable and relevant content is here to stay, as search engine algorithms continue to focus on whether or not the content has relevance to the keywords. Do away with keyword saturation and concentrate on producing high-quality content that makes good use of relevant keywords. Social signals elevate rankings. 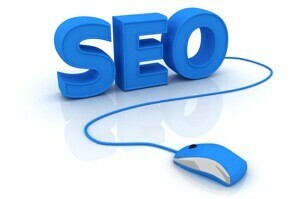 The more content is shared, the higher up the search engine rankings it will be. Social media management will go hand in hand with SEO and it will be beneficial for you to expand your knowledge and skills in both. Mobile experience will become more important. Another significant ranking factor in search engine algorithms is the mobile user experience. In 2014, mobile internet use exceeded desktop use. It is estimated that in 2015 there will be as many as 50 billion local searches using smartphones and other mobile devices—so you better start making sure your website is mobile-friendly! Conversations, not just keywords. Along with content, search engines are now using intent, context, and meaning in a search query—a big change from simply matching up keywords. Long-tail or conversational keyword queries and phrases are more likely to be more relevant than one and two-word key phrases. The conversion rates of long-tails are also higher because of the increased specificity. Taking advantage of long-tail search traffic is definitely the next big trend in SEO, so it would be a good idea to pour your efforts towards understanding what users are looking for and engaging them in conversation. Truly earned links will become more valuable. Inbound links, especially a citation from an authoritative publisher, will affect SEO, lead generation, online sales, audience growth, and brand awareness, among other things and will be needed to build up your brand. How do you earn inbound links naturally? By focusing on creating valuable content and promoting it to your target audiences. More visuals, better SEO. Visual media elements such as video, images, and graphics have become invaluable in SEO, and this trend will stay on throughout the year. High quality and original content that features these elements gets priority over webpages with just text. Marketing via videos is also a great strategy to generate massive social sharing traffic. ROI, not rankings. As Martin Lindstrom would say, what good is a webpage—even if it ranks high in search engine results—if it doesn’t generate conversions? In 2015, the focus will shift from fussing about keyword rankings to placing more significant elements that would have a positive impact on your return on investment. To achieve this, you need to apply new strategies and consider how your content convinces your audience to convert into sales or leads. Now that you know the biggest trends in SEO for 2015, it’s time for you to rethink and plan your SEO and content strategy to increase brand awareness, grow your audience, boost online sales, and ultimately achieve a profitable return on your investment. The good news is that these steps can certainly bring big results and help you prosper this year.